New update. 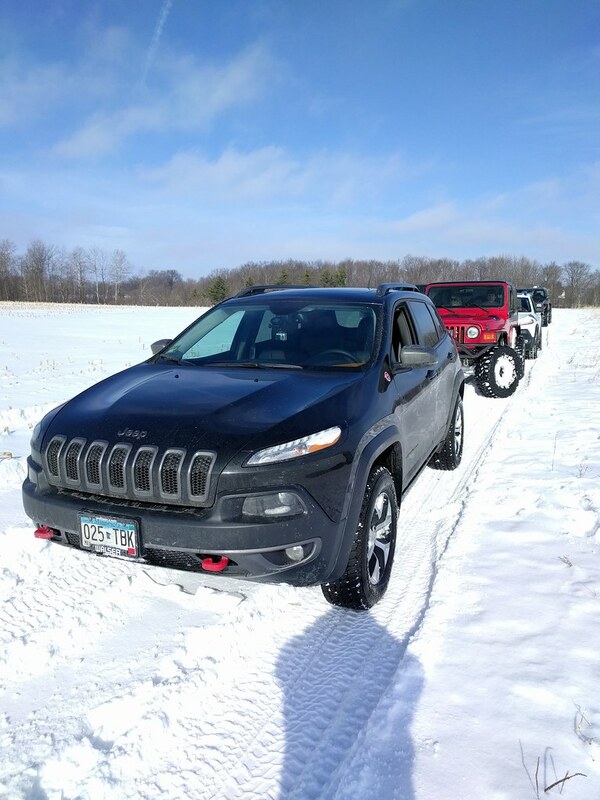 Went out for a Jeep club winter trail ride over the weekend and had a blast. The one big downfall of the TH is the ground clearance is just not enough. 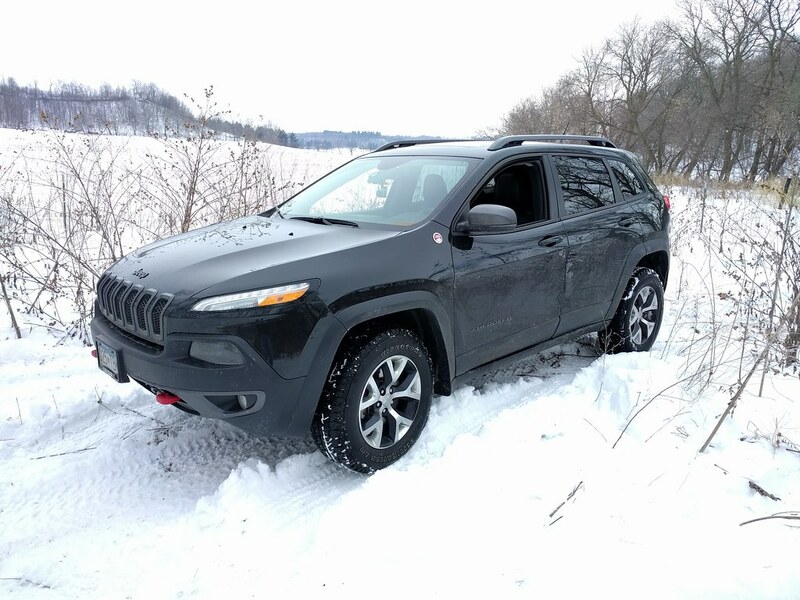 In deep snow, traction is lost because it gets high centered. 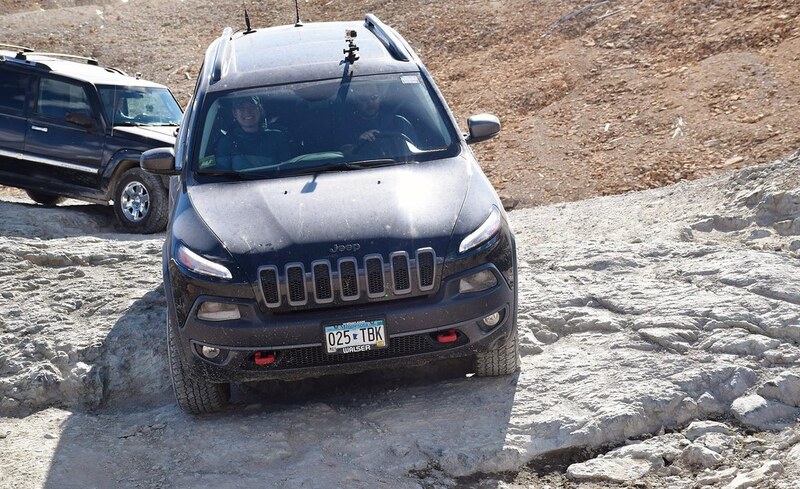 Once the high center situation is resolved, it can go through some serious sh1t that impressed a lot of the wrangler guys. Not too bad for what looks like more road oriented tires. That is awesome. Looks like it can handle Cleveland-area snow duty, no problem. I didn't think that little ute could handle like that. Pleased to be wrong. This thing, ugly as it is, can deal with some serious sh1t. 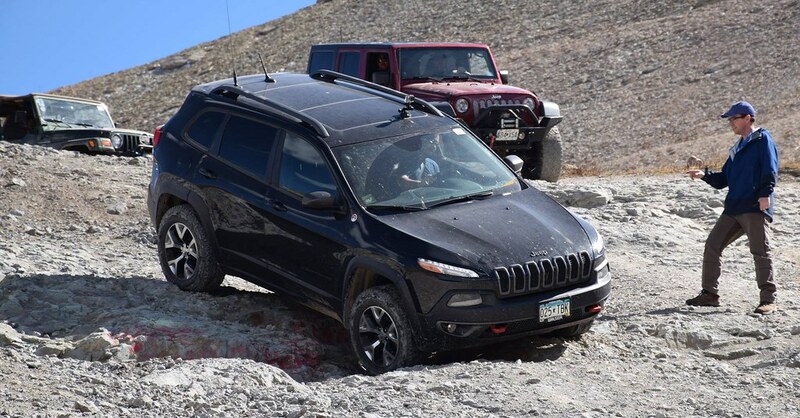 It's not nearly as good off road as a Wrangler but for something that does 27mpg hwy, is quiet/comfortable, and has all the features you could want while still being able to go out and run Hells Revenge...there aren't really any others like it. 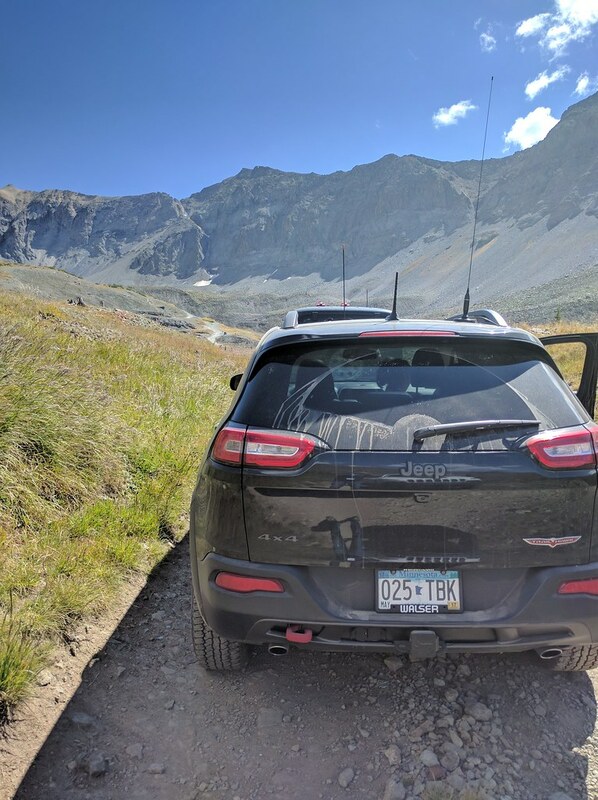 I think the Renegade Trailhawk is also more capable than people are willing to give it credit. Nice to see you taking it out and enjoying it. I actually don't find it ugly...I like the headlights. 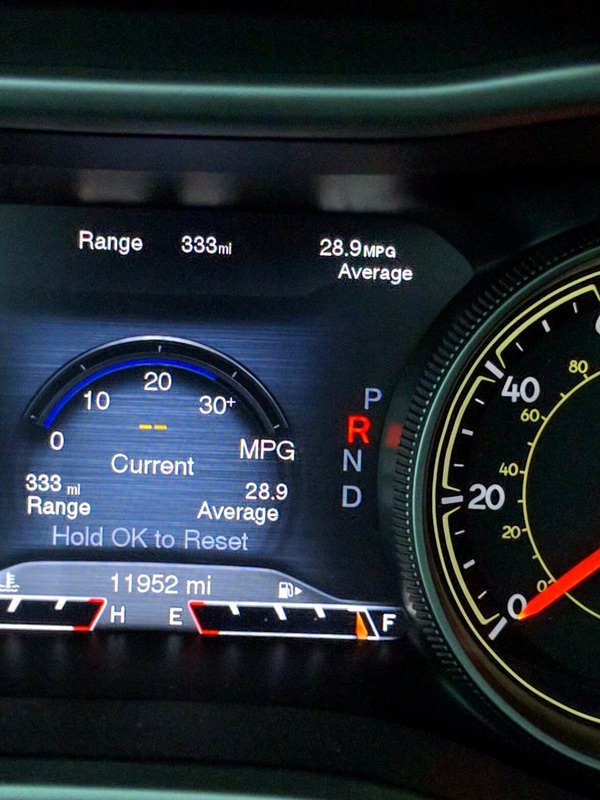 28.9mpg over a 150 mile trip. 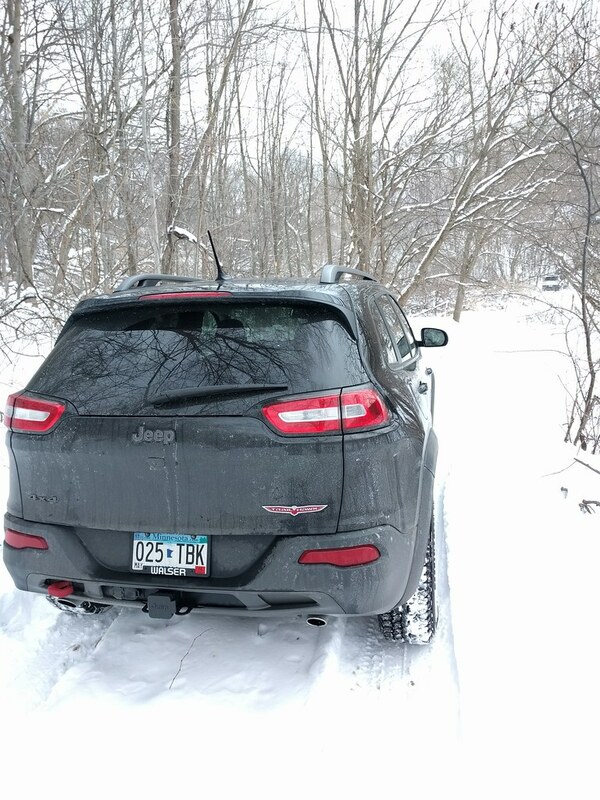 Not too shabby for a SUV that has a low range transfer case, all terrain tires, lift kit, and a locking rear end with the ability to go lots of places the driver probably shouldn't. YOU have a locking rear end. You get the same MPG as my S on the highway ... pretty damn impressive Mr. SamDoh. Somedays, I wish I didn't. Those stomach aches are nothing to mess with. I was impressed, last long trip I took I got like 26.5 or something. 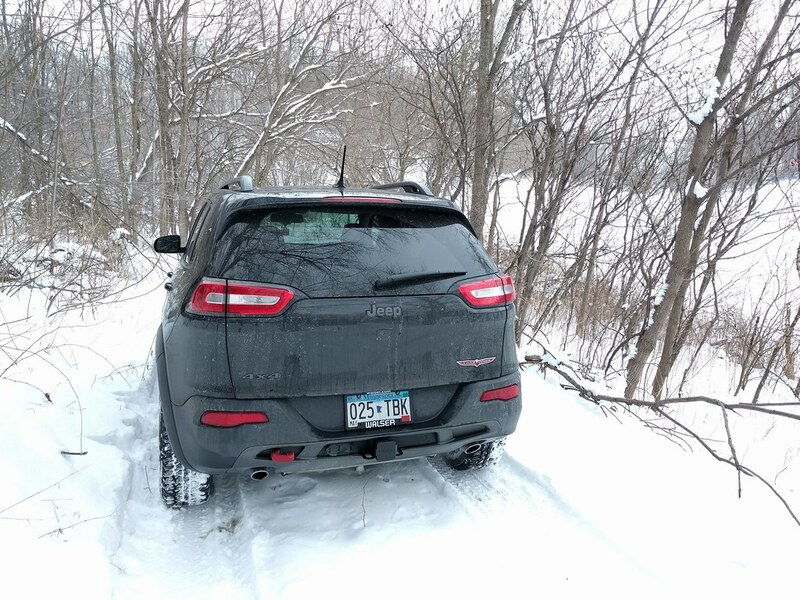 Sad part is the fuel economy plummets in the winter because below 40F, it stays in 4WD all the time. I'd average 22-23 highway in the winter time. Wonder which dumbfvck programmed that. OH trust me...I know it. 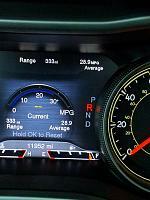 Yeah, same with the TL...I'm always impressed with how she'll go from 18 mpg city to 32 all highway. What efficiency! That's nuts. Did you also calculate it by hand just to verify? Meaning miles driven in that trip divided by how many gallons filled up. Not on this trip but I have in the past and it was damn close to what the computer said, off by like 0.2mpg or something like that. It was close enough for me to not care about doing it in the future. 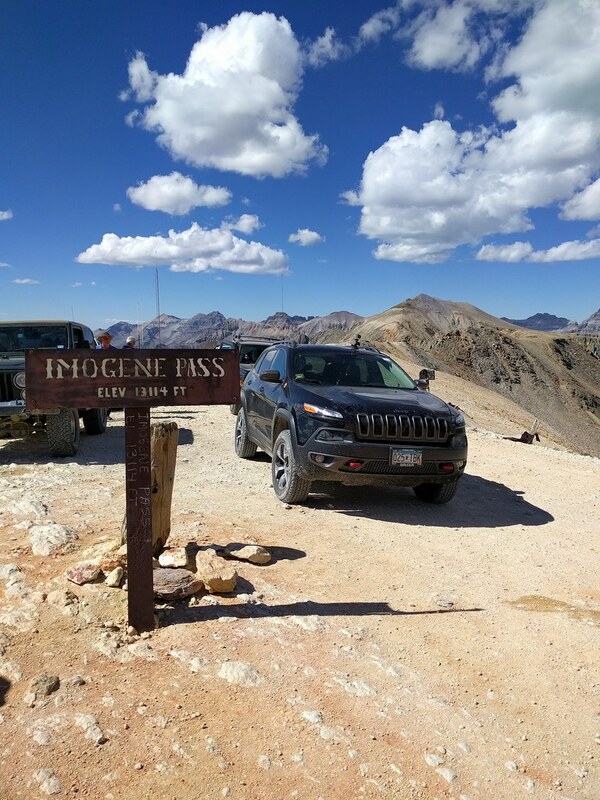 Trip to Colorado is on for second week of September. 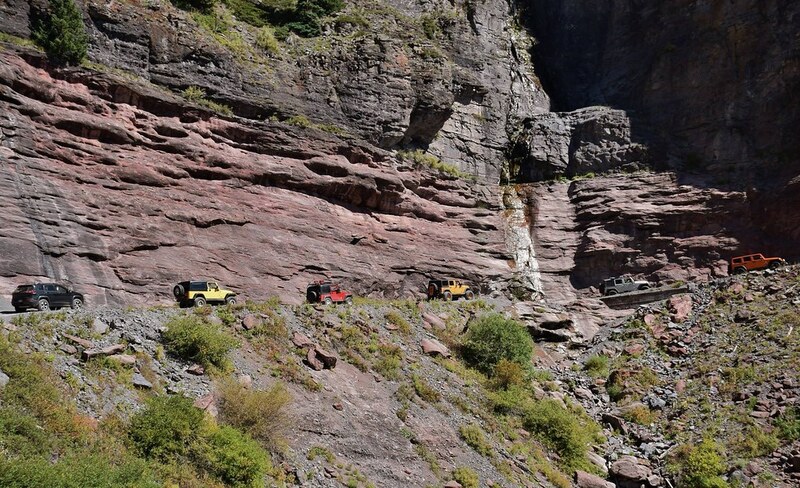 Going to run a bunch of the mountain passes in Ouray and Telluride. Pics and videos when I get back. Edit: Oh and lift kit has been received. Just need to find some damn time to install it. Should go up 1.5"-2" when completed. Last edited by SamDoe1; 07-18-2016 at 03:41 PM. They finally made a lift kit? I know there was an issue when they first came out. almost 23K on our limited...just had the oil pressure switch code thrown. Have to take it tomorrow to get it replaced. Yup, only goes up 1.5"-2" due to the range of motion for the CV axles but I'll take what I can get. Nice, I always knew someone would figure out how to make one. Dropped the Jeep off this morning. Asked them to also replace the start/stop button as the laminate is peeling around the edges. Nice mileage, Sam! that's really farkin impressive! It was only a matter of time before someone figure it out. In the end, this lift isn't a 3-4" lift which is what most companies were looking to get but it does get you the same ground clearance as a stock Rubicon which is pretty good. My Jeep is still rolling strong. Almost 15k on the clock and no issues, runs perfectly. You jelly of my foreskin? This oil pressure switch was the first "issue" that has popped up in 23k aside from warranty work regarding little things that didn't to be done correctly at the factory. I'll have to pay attention next time I drive it because they updated the transmission firmware again. My one great disappointment with this car is the transmission. 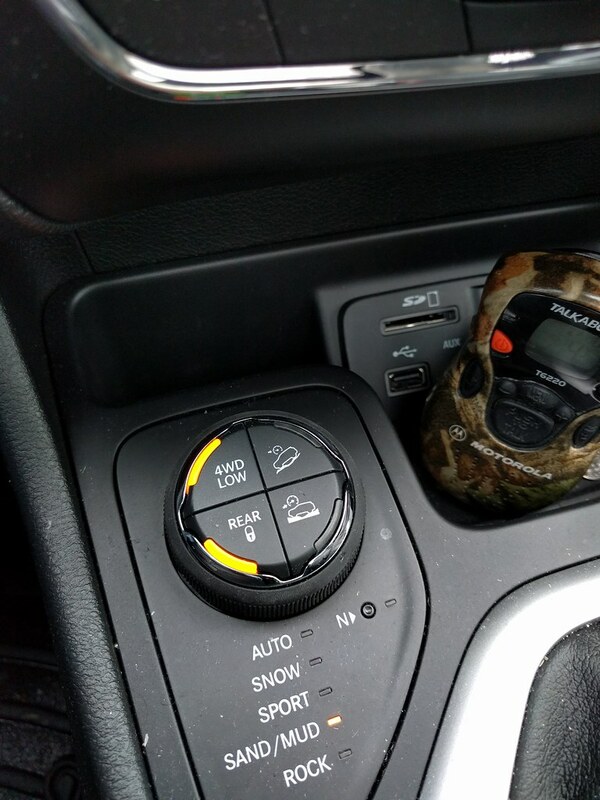 I have grown to really dislike this 9 speed, but I also got a first model year vehicle. I think the following year made some changes/improvements. But I haven't driven one to be able to tell. I've got 9 months left on the lease and I'm ready to give it back. Eh, I don't mind the transmission. It's good for what the design intent is. I think with the update software that mine has, it makes it a lot better than the first year models. Yes, it's a bit dimwitted at times but I don't use it as a racecar and if you learn how to drive it like it wants to be driven, it's pretty good. In heavy city traffic with this first gen. It gets annoying. Update: 1.5" lift kit installed. 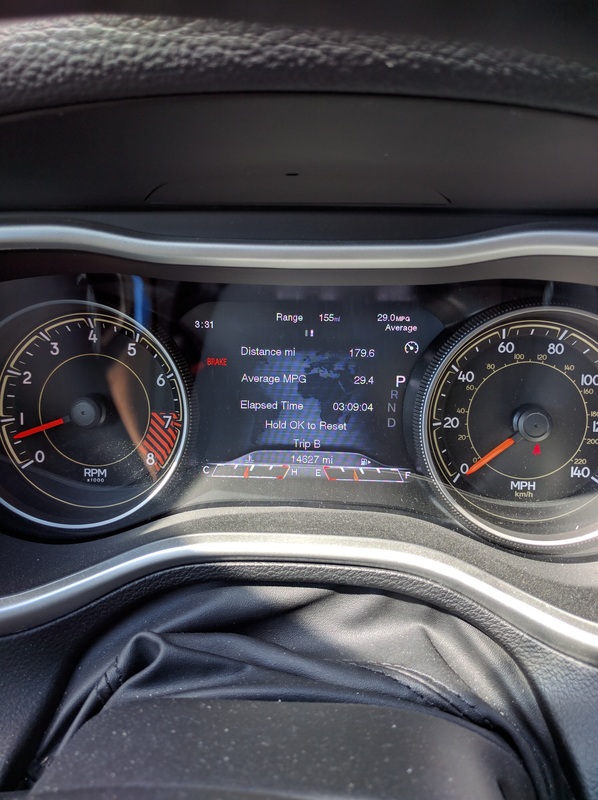 This doesn't seem like much but it's a huge improvement over stock and is literally one of the few downsides to the Cherokee. 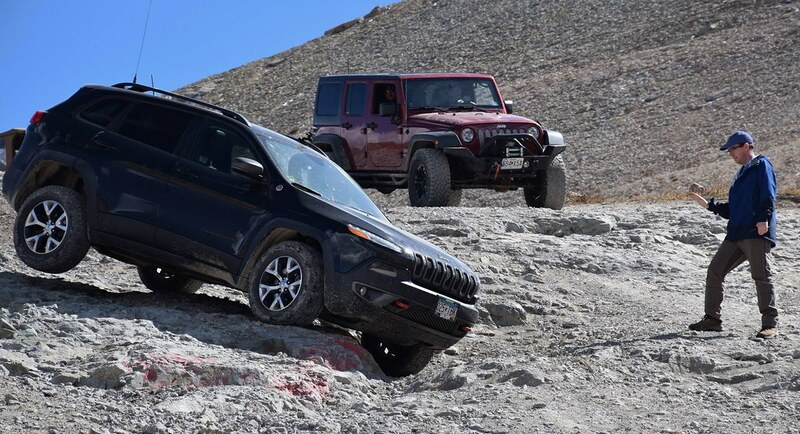 This brings it in line with the ground clearance of a stock Rubicon. It's now almost ready to tackle Colorado in t-minus two weeks. Pics of stock vs New...come on, you know the rules. Raining right now and phone cam isn't wide enough to grab a pic. Monsoon season is going full force here in MN. If you guys in CA want some rain, we'd be happy to share. Everything here is always on the verge of getting flooded since we are like +5" above average for rainfall this year. I'll get a pic asap. Our 2014 threw a Oil Pressure Sensor CEL...had to get it replaced, simple fix took less than a day. 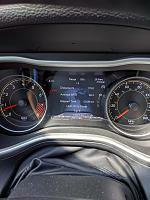 Funny thing, a week later my Durango threw the same code. Turns out there is a TSB for the 2014 MY vehicles about that. I never understood the it's raining so I can't snag a picture excuse. in LOVE with the Yukons!!! My grandfather has one that I drive from time to time, I must say, it handles pretty well, and really pulls hard with its 5.3 V8!!! The steering is loose, but other than that, it's pretty golden for what it is!!! We're talking real rain here, not drizzle. Pics tomorrow fo sho. I honestly miss my Denali...seriously thinking about getting another one. LOVED that truck and the 6.0 had power for days. What lift kits are available for the KLs? You going bigger tires? gotcha...yeah, I am not familiar with real rain for more than 14 minutes at a time in SoFla. The lifts are spacers in the rear, strut height in the knuckle adjustment in the front. 1.5" is about how far you can go and still keep alignment and CV range of motion in spec for the front. Any more and you run into issues pretty fast. I'll get bigger tires when the current ones wear out. I can't justify throwing away perfectly good tires. 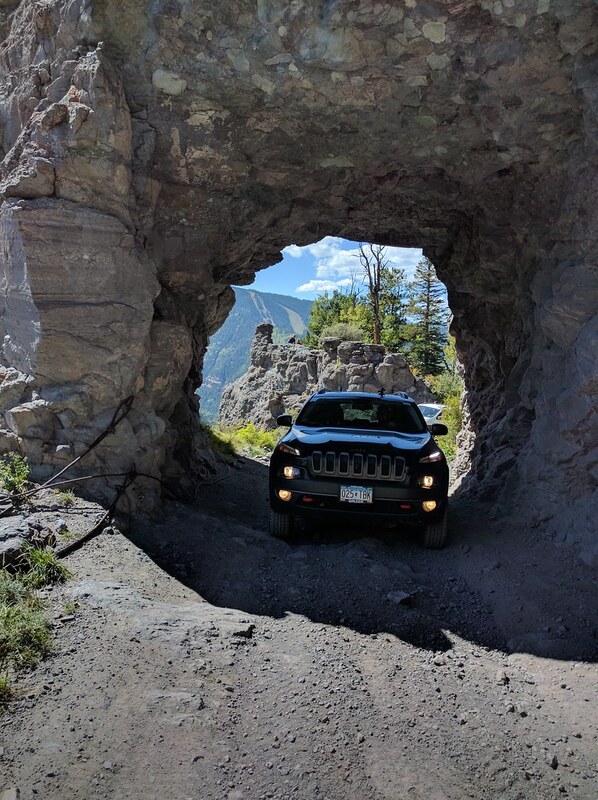 Just got done with my first real Jeep adventure, took it down to Ouray, CO and rode some sweet trails. Here are some highlight pics. I'll post some videos after I pull the files off the gopro. this is awesome man! I love that 2nd pic. Looks like a blast! That scenery is incredible. MOAR PICS! Sorry no Vagon content here. These are from some people who were snapping photos from outside during the driving portion. I'm always blown away by how pics don't make things look steep at all. 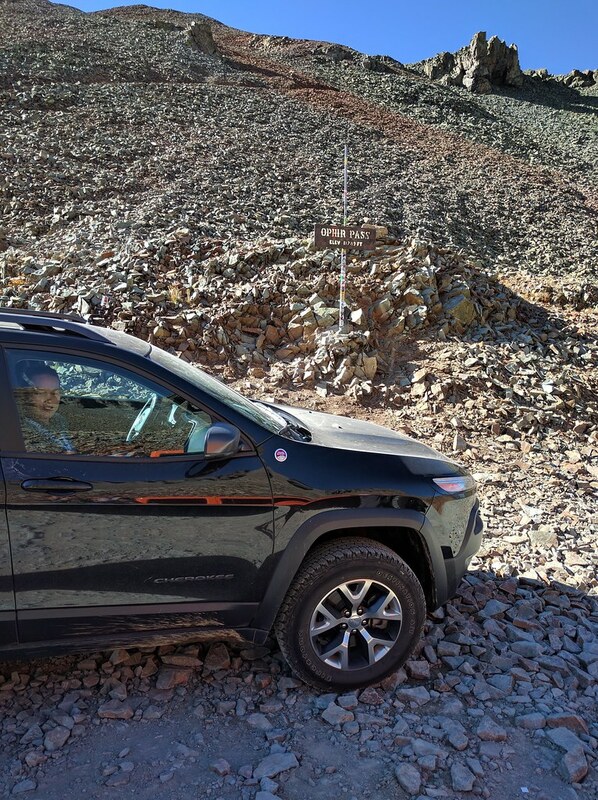 In the pic where someone is spotting me, it was so steep he had to move his Jeep further down the trail by ~100yds because it slid down the hill with the parking brake on and then hike back up to spot me. In the one where I'm going down a ledge, all my weight was on the seat belt and none on the seat back.